A preacher is found brutally murdered in a Tennessee motel room. A beautiful, mysterious young girl is accused. 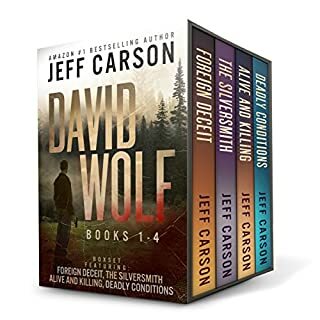 In this Mystery Readers International finalist for "Best Debut Mystery" criminal defense lawyer Joe Dillard has become jaded over the years as he's tried to balance his career against his conscience. Detectives Laura Baxter and Jack Holt are members of the elite: Las Vegas Metro PD, one of the toughest and most respected law enforcement agencies in the United States. In the middle of a city with two million residents and 43 million annual visitors, they’re hunting for a killer. At the heart of a glamorous Las Vegas hotel, in front of hundreds of witnesses and under the lenses of countless video surveillance cameras, a young girl is brutally murdered. The most recorded crime in Vegas is missing one key protagonist, the killer. When the body of a young woman is found in her own backyard, a week after her disappearance, evidence leads investigators to a chilling conclusion. She is not the first victim of a serial killer no one knew existed. She most definitely is not the last. 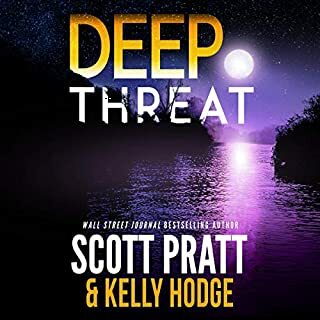 FBI Special Agent Tess Winnett joins the local detectives assigned to the case and searches for answers in the intriguing investigation that offers a plethora of forensic evidence, yet no viable leads. When another body is found, the search intensifies, and details about the killer's unusual signature emerge. Michael Gresham been trained as a lawyer. He believes in the rule of law, and he believes that no man is above the law. But his grandmother won't let him go. She tells him a certain man must die for his crimes. Michael loves his grandmother with every cell in his body. Can he refuse her dying wish? Will he honor the vow he makes to this most important woman in his life? And so, the hunt begins. Glad I did not listen to this one first! Her blue eyes wide open, glossed over. A few specks of sand clung to her long, dark lashes. Her beautiful face, immobile, covered in sparkling flecks of sand. Who is the beautiful girl found at dawn, on a deserted stretch of white sand beach? What is her secret? FBI special agent Tess Winnett searches for answers relentlessly. With each step, each new finding, she uncovers unsettling facts leading to a single possible conclusion: Dawn Girl is not the only victim. Her killer has killed before. Murder... Greed... Treason... The morning after Halloween, the city of St. Paul awakens to find that a serial killer terrorizing the blue-collar working women of University Avenue has struck for the fifth time. Thirty-two-year-old, fourth-generation St. Paul Homicide Detective Michael "Mac" McRyan thought his day was going to be less stressful. His day would involve paper work, coffee, and maybe even an early trip to the pub. Then his cell phone tells him his day is about to change. A body has been found in a high-end condominium between Summit and Grand Avenues; and it's not just anyone. "Your day just got worse," Mac tells his captain. The victim is Claire Daniels, the Twin Cities' most prominent political and investigative reporter. Claire was stunningly attractive. She had blonde hair, blue eyes and a curvaceous body she worked on relentlessly. Claire was the desire of every man in town. With the Daniels murder on top of the latest serial killer attack, the political and media pressure on the St. Paul Police Department only builds and places Mac in the middle of a dangerous and high-stakes murder investigation that will ultimately have national political and security implications. 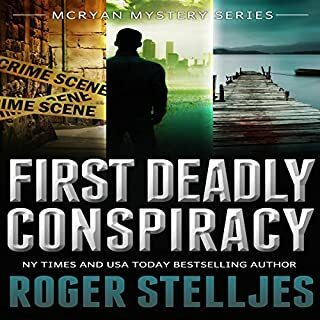 New York Times and USA Today best-selling author Roger Stelljes delivers an action packed story in the McRyan Mystery Series. Vince Flynn described Roger as: "A powerful new thriller voice." Stelljes' vivid characters, his gift for gritty and real dialogue, as well as his uncanny sense of place and time, will put you in the middle of the action allowing you to feel the desperation of Mac McRyan and his fellow detectives. If you could sum up The St. Paul Conspiracy in three words, what would they be? I really like how there are almost two mysteries in one. It was a complex story, but very well put together. What about Johnny Peppers’s performance did you like? Mr. Peppers has a wide range of voices that he uses well to distinguish the characters. There were at least 10 character voices that he had to do and I enjoyed them all. They should have taken a page from Ms. Daniels book. Their lack of perfectionism came at a cost. A great story with a great narrator really brings a book to life. Here' the story. Murder happens. Police investigate. THEY WORK AS A TEAM! Bad guys are totally bad. Reeeeely different from everything else in this genre? Well yeah… See that third point… The one where the police work as a team? Where the lead detective doesn't get more grief from his or her bosses than from the really bad guys? Where he's actually supported? Now that's refreshing. Imagine, the brass and the detectives and the beat cops all liking and supporting and professionally interacting like… like… friends? Well that's astonishing. Yet odd as it is to the police procedural, Roger Stelljes makes it work. I mean… it's almost revolutionary. Makes me wanna get another Mike McRyan book. Hey! I will, especially if it's read as well as Johnny Peppers performs this one. What did you love best about The St. Paul Conspiracy? I usually gravitate toward non-fiction for audiobooks, and opt to read print versions when it comes to fiction. So it was a really fun surprise to find how much I enjoyed listening to this gripping story as an audiobook. Yes! I listen to audiobooks only while driving, and a couple of times I found myself taking the long way home, just so I could fit in more of the story. One time I sat in the garage for 10 minutes so I could get to the end of a chapter. Have you listened to any of Johnny Peppers’s other performances before? How does this one compare? No, I haven't, and I really enjoyed how Mr. Peppers brought the story to life. He had a great way of using subtly different voices for each character's dialogue, which helped to distinguish who was speaking, and he kept the voices consistent through the entire narration. I also appreciated his steady pacing, which built tension and made it possible to fully absorb all the plot details. 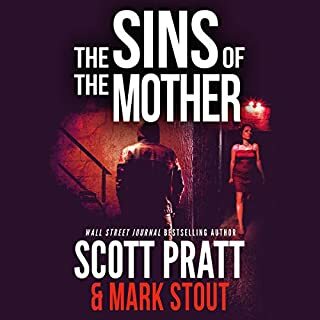 I did get to listen to almost half of it in one sitting, as I happened to have to make a six-hour roundtrip drive while in the midst of this book! It certainly made the long hours behind the wheel much more enjoyable. 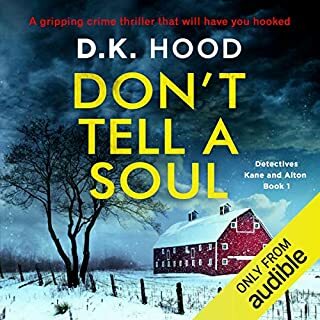 I don't typically opt for audiobooks in this genre, but I'm so glad I did! I found myself mulling over the story in between opportunities to listen, which is a sure sign that I had gotten caught up in it. Very entertaining, and I'd definitely recommend this book! Mac McRyan mysteries are excellent and complex police procedurals. McRyan is a top law school graduate who decides to enter the law enforcement following his dad. This novel is about several seemingly unrelated murders beginning with a beautiful TV reporter. The series is set in the Minnesota twin cities. Narration by Johnny Peppers is flawless. Highly recommended for lovers of thrillers. That McRyan is basically "a young Lucas Davenport (John Sandford)" is intended as a compliment and quick recommend for Sandford fans. Plus it takes place "in The Cities" as does Lucas' adventures. Some of the character names are corny but thats OK. I've bought the next two in the series. The narrator is new for me. OK, he doesn't detract from the story. McRyan's Chief is "a good guy" who supports his men. Usually a cop's upline are antagonists. I like this way. This story has 2-3 intertwined plot lines. The book is has a high-energy start and maintains a good level of mystery and intrigue throughout. I didn't necessarily have a hard time putting it down, but I did always want to listen to more soon after. Mr. Peppers is an skilled narrator. I especially like his subtle, nuanced voices as opposed to over-the-top characterizations some performers use. Just enough to clearly discern who's speaking, but restrained enough to allow the listener to form his own ideas about the characters. He also has a hint of Southern (US) accent which I appreciate, being from the South myself. I love the fact that McRyan is personally flawed and still is able to catch some breaks and do his job well just by trying to make the right decisions all the time. Case in point - the money he invested in his friends seem to be paying off. I like that even though you can see what is coming most of the time, the story is carved so well that you are still engaged. I mean, it's obvious that Mac and Sally are going to get together - but I liked hearing it happen. The conspiratorial story was plausible as well. What does Johnny Peppers bring to the story that you wouldn’t experience if you just read the book? Listening to a story allows me to better visualize the characters - I like listening to a novel much better than watching a movie adaptation - I still get to use my imagination while listening. Johnny Peppers has a good tempo and the characters are not over-the-top to distract from the story. I did not have an extreme reaction - it was not an emotional roller coaster like some books can be. But, I wasn't expecting anything more that what I received. Had a lot of potential with three separate but related crimes. But characters and plot simplistic. It wanted so badly to be a gripping page turning mystery ... And just wasn't. Although not directly part of the plot - an example of how this book fails and is illustrative of the writing is the "sexist cop banter" about how "hot" someone is, or about breasts. It felt forced this is how cops talk so I have to add it. Vs such talk really being intrinsic to the characters you developed. The cops sit around in the chiefs office talking about cases while drinking....this is how cops are damn it! And they all hang out in a cop bar and drink. Because this is how cops are! Characters were written as stereotypes from 20 years ago...where are the female detectives? This story had some twists and turns but most of them you could see coming. There was a lot of detail that sometimes had me zoning out while listening in the car but the narrator was good so that helped. There is a serial killer who is strangling women with his bare hands, sexually assaulting them postmortem, leaving behind a Trojan condom and a yellow balloon with a smiley face. 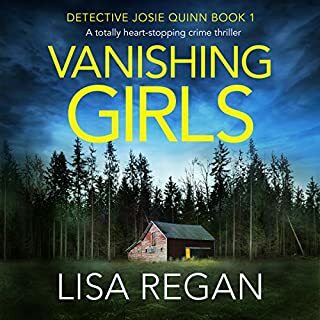 It isn't until Detective McRyan is given charge of the investigation, replacing Detective Riles, that a break in the case finally presents itself. The women he is murdering are unassuming, short, plain and easily manipulated by someone who is in good physical condition. However, concurrent with these killings, other women are being murdered. These women are different from the other's. They are self assertive women, who dress well, look attractive and have high stress jobs. Senator Mason Johnson is also murdered. These murders deviate from those being executed by the serial killer. The police are trying to put all of their evidence together, trying to make out what is happening in their small town. The murders taking place have been occurring in the same jurisdiction. Long hours are ahead. Witnesses are found by arduous, dedicated policemen. The men have to go door to door, revisiting the same people at times. The work can become tedious but must be done. Witnesses can help to solve crimes, not even being aware of what they saw was of any importance. That is the reason for sifting through the information given and if there may be a need to revisit the same witnesses more than two times. Who knows, there may be someone never talked to that may come to their attention. The book was interesting and I did enjoy the listen. The narrator, Johnny Peppers, did a great job with the many voices and emotions. Greed can rule some people's lives. Then there are lawbreakers who don't fit the mold until someone starts to dig deep into their lives. Criminals come from all walks of life. The book was an exciting listen. One murder or two? I think anyone who enjoys listening to a good mystery would enjoy this one. I'll purchase the second book in the series. Slow intricate start - Persevere it's Worth it! This is a series that I'm going to enjoy getting into. Procedural police work, plausible lucky breaks, and a great story. A lot of characters to get to grips with, but all in all, a highly entertaining listen. Incredibly difficult to get into and have to be honest - I gave up. I found the narrator's voice annoying especially when speaking for a female character. The plot, well, there wasn't much in the first half other than the flurry of murders but I found the plot and way the story is written simply didn't keep my attention. Very unusual for me as I read all sorts of genre and styles and it is rare I cannot get into a story at all. 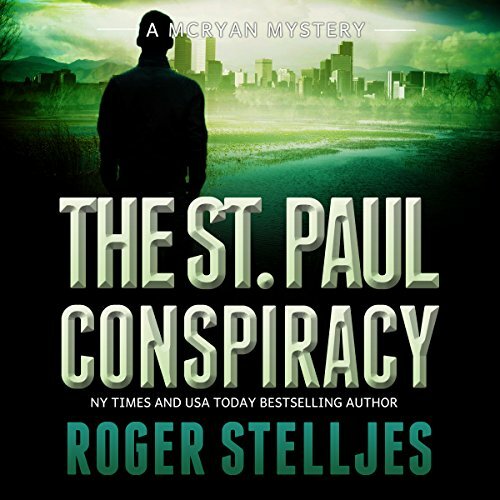 Where does The St. Paul Conspiracy rank among all the audiobooks you’ve listened to so far? Not one of the best, but I did find it entertaining and it kept me engaged. I switched back and forth between the audiobook and the kindle book and rather enjoyed the kindle a bit more. What other book might you compare The St. Paul Conspiracy to, and why? Like any good police procedural, it includes some twists and turns to keep you interested and guessing. What three words best describe Johnny Peppers’s voice? Personally, I find his voice a bit irritating, as I'm not used to the southern twang and I wasn't convinced that big city Minneapolis cops would speak like that. Sounded to me more like west Texas. Fast paced. Will keep you guessing until the end. Although I enjoyed the book I thought the dialogue and situations were a bit hokey and not always convincing. Without giving away the plot, after a major violent event, they are all in the bar having a great time like it was not a big deal. I doubt that would be the case. The main characters were a bit too predicable but This did not spoil the overall storyline.